This is a Electrical and electronics project report on "Automatic power grid control by using Laptop" and submitted in partial fulfillment of bachelor program of EEE. 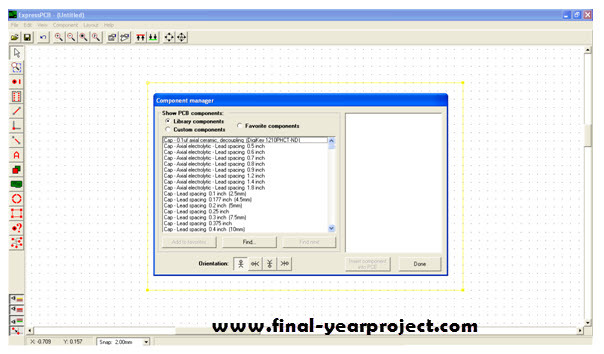 This project is Microcontroller based and the embedded system is a combination of computer hardware, software additional electrical & mechanical parts. A computer is used in such devices primarily as a means to simplify the system design and to provide flexibility. You can also Subscribe to FINAL YEAR PROJECT'S by Email for more such projects and seminar. This report includes PCB layout designing, source code of the project, information about different components used in the project etc. Use it for your reference and study work.